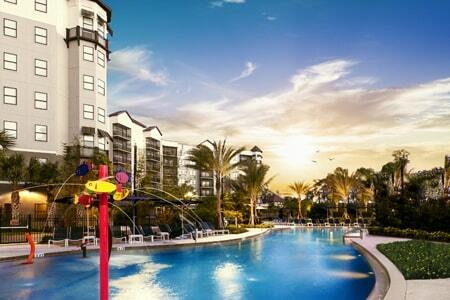 GroveResidences – Orlando’s newest luxury vacation home community. 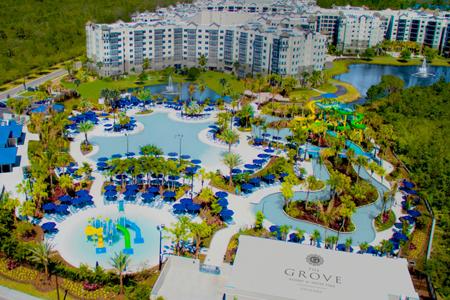 The Grove Resort & Water Park is more than a vacation home resort. 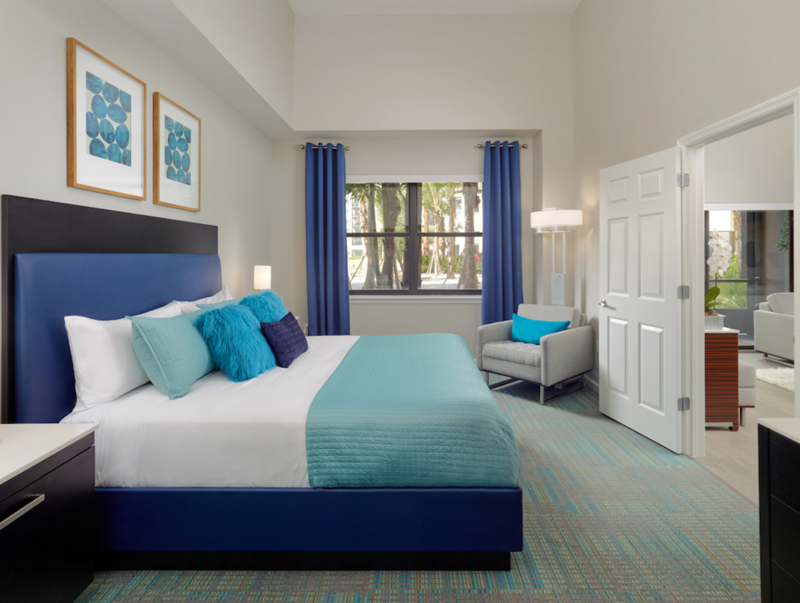 It’s a place where fun happens, and memories are made. 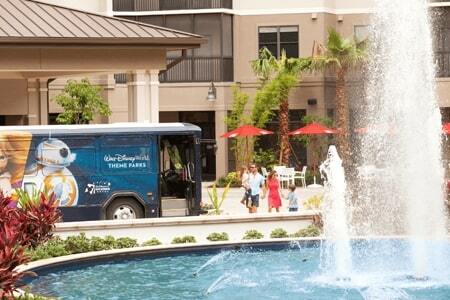 Orlando’s newest vacation home resort offers the best amenity package in Orlando! 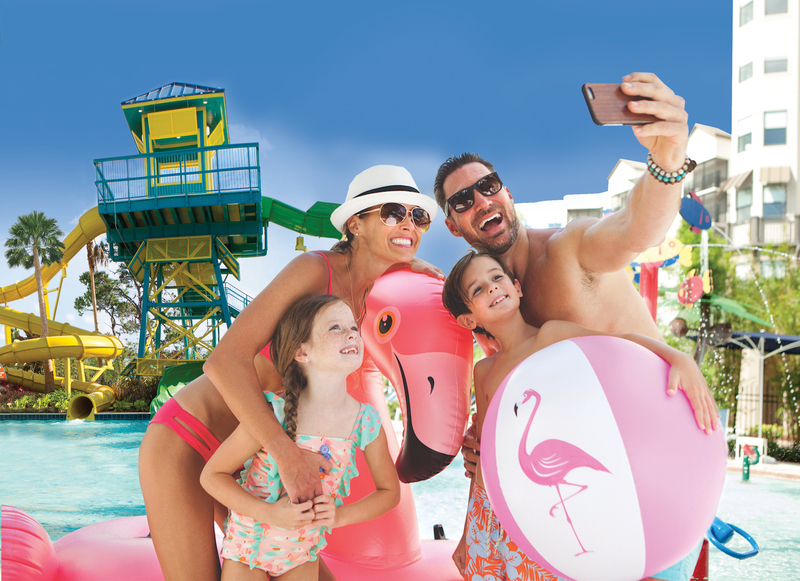 Spend the day in the sun at the Surfari Water Park, complete with water slides, lazy river, kid’s aquatic jungle, private cabanas and more. Hungry? We got you covered! 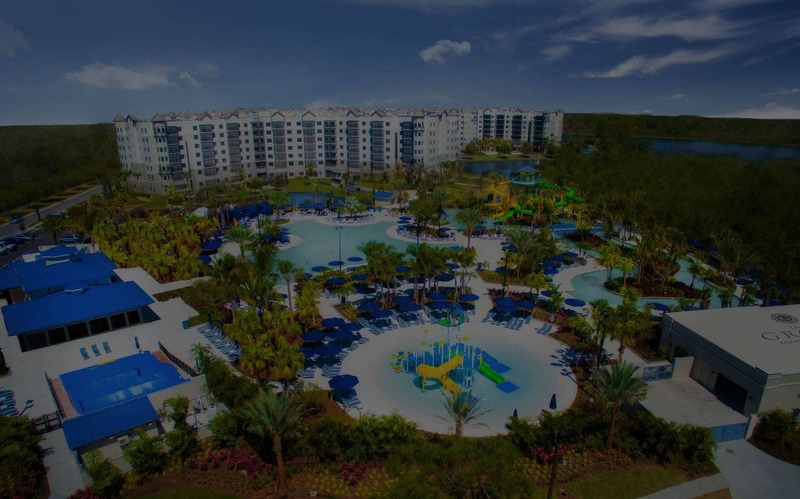 Enjoy a sit-down meal or a poolside snack at one of the multiple onsite restaurants, or a cocktail at Elements Bar & Lounge. There’s even a full service onsite spa. 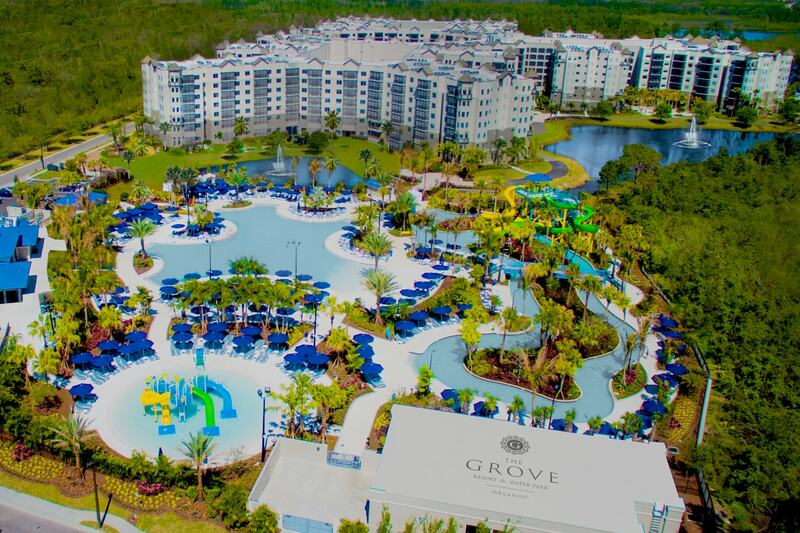 The Grove is the perfect place to take a day off from the theme parks, saving you money and creating memories to last a lifetime! 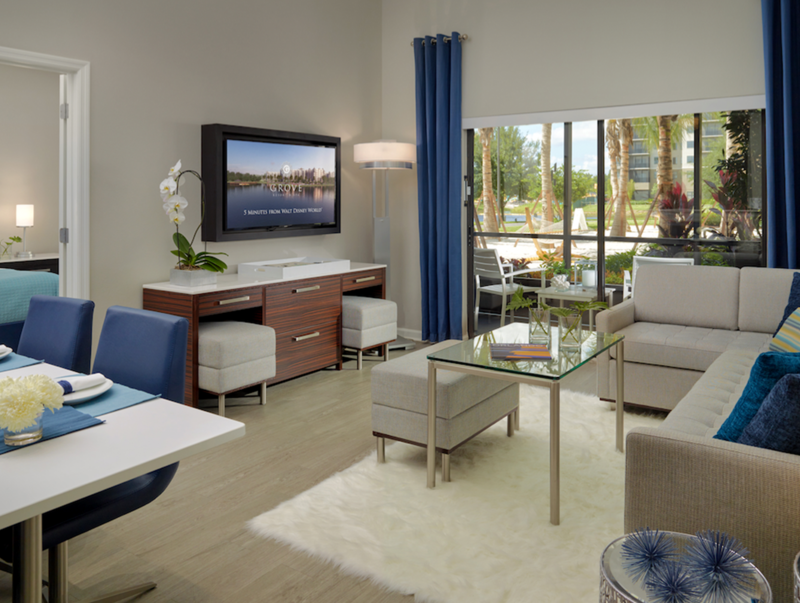 Preview the array of world-class amenities available to you as a luxury vacation home owner. 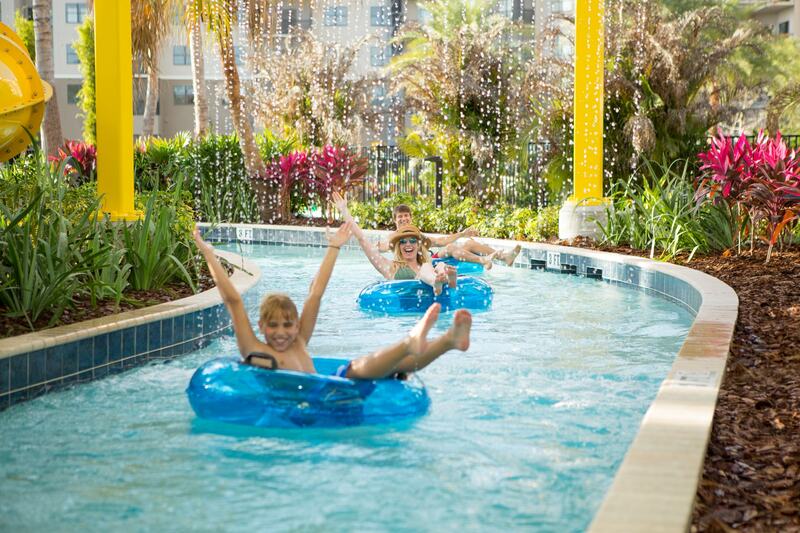 Surfari, your very own on-site water park, offers something for everyone. 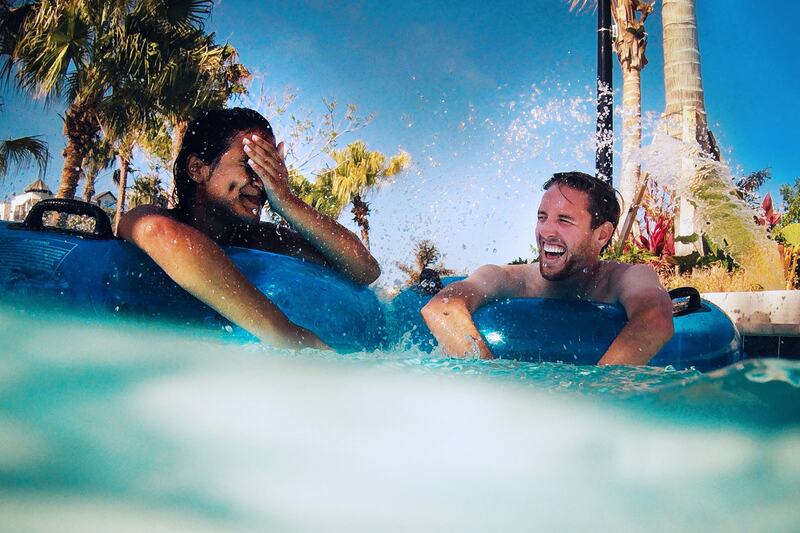 Ride the lazy river, catch a wave (or two!) 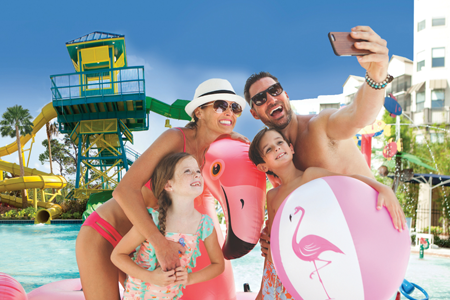 on our Flow Rider surf machines, take the plunge off our dueling two-story water slides, or just relax and soak up the sun in the expansive zero-entry pool. 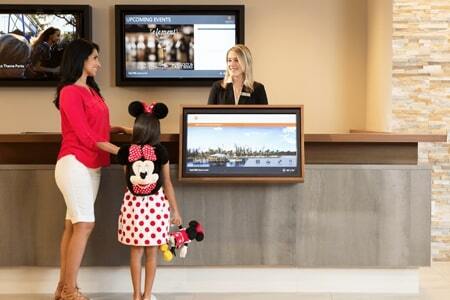 For our smaller guests, hours of fun await at the kid’s pool and play area. Our private poolside cabanas are the perfect place to cool off and treat yourself to a relaxing massage. Afterward, drop by Longboard Bar & Grill for burgers, BBQ, and a craft beer or cocktail. 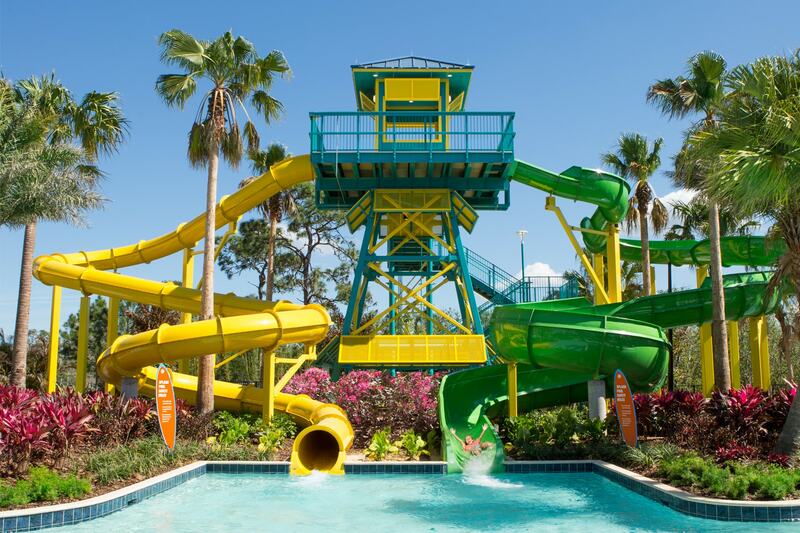 The Surfari Water Park is the perfect place to take a day off from the theme parks! 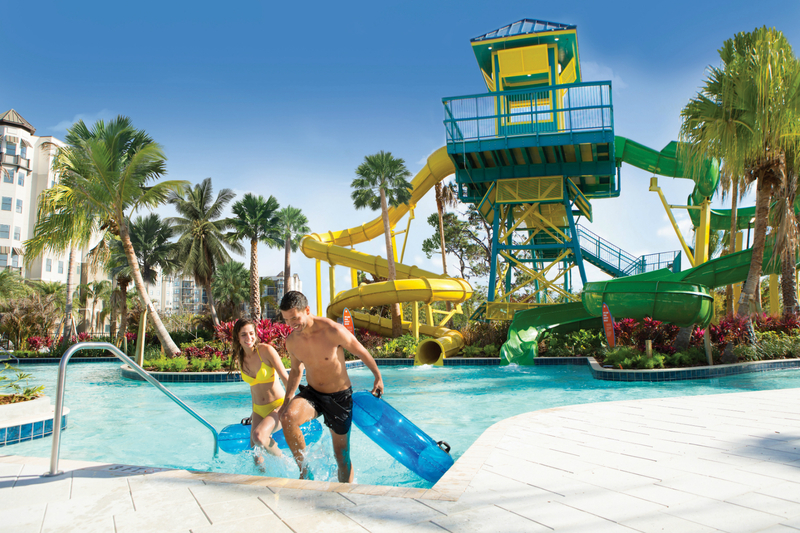 Take the plunge down our dueling two-story water slides. 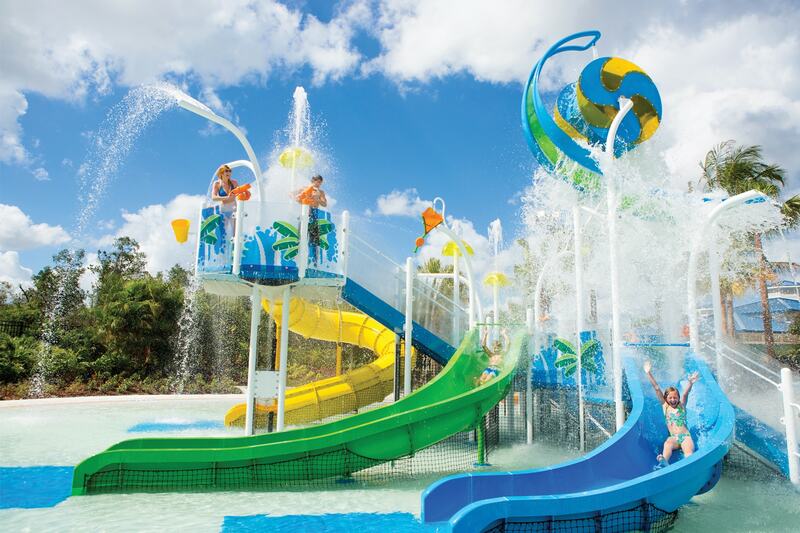 Choose from an open air or covered slide and enjoy the ride of your life! 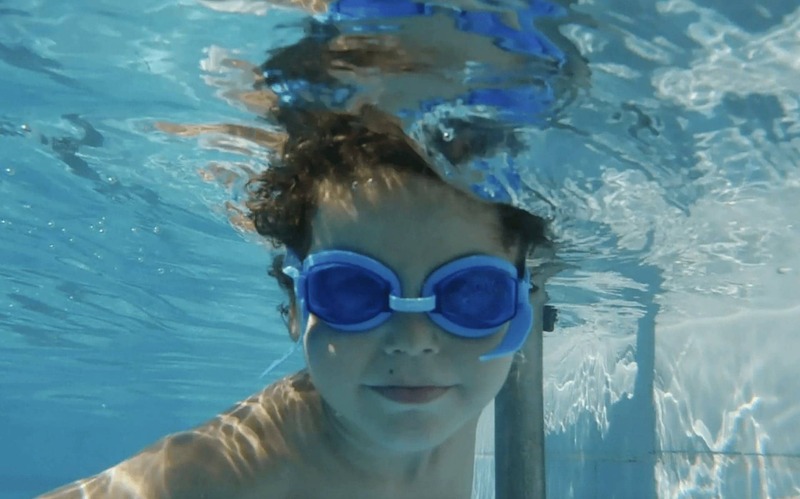 Kid’s rule at The Grove Resort & Water Park! 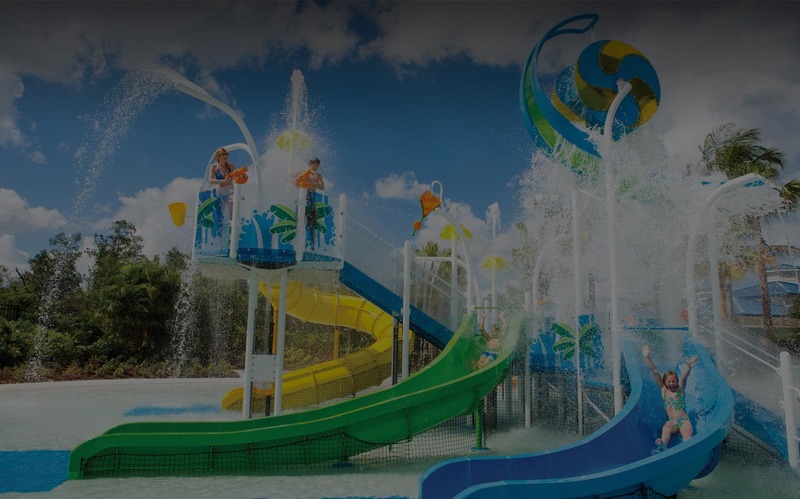 The Surfari kid’s area features a two-story aquatic jungle gym designed for kids who want to make a splash and have fun. 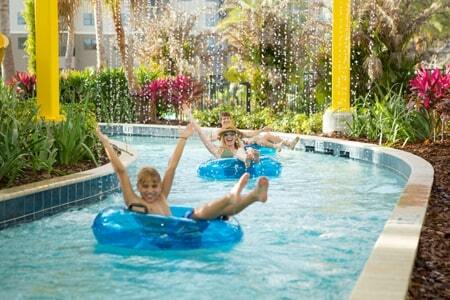 Ride down our winding 700-foot lazy river. 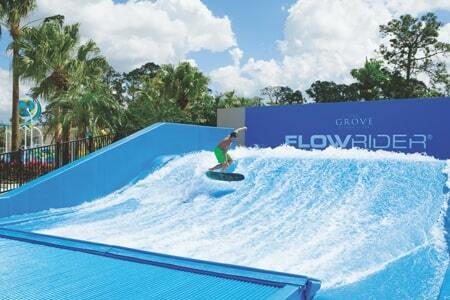 Swim with the current, or chill out on an inner tube. 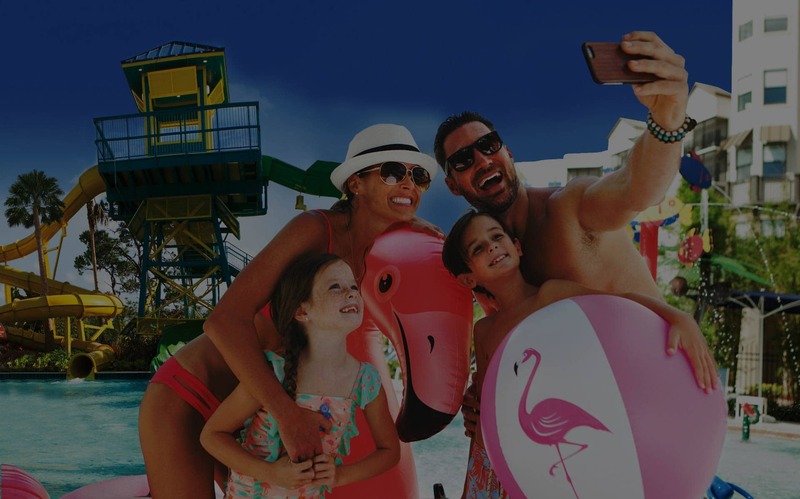 It’s the perfect place for families to have fun and go with the flow! 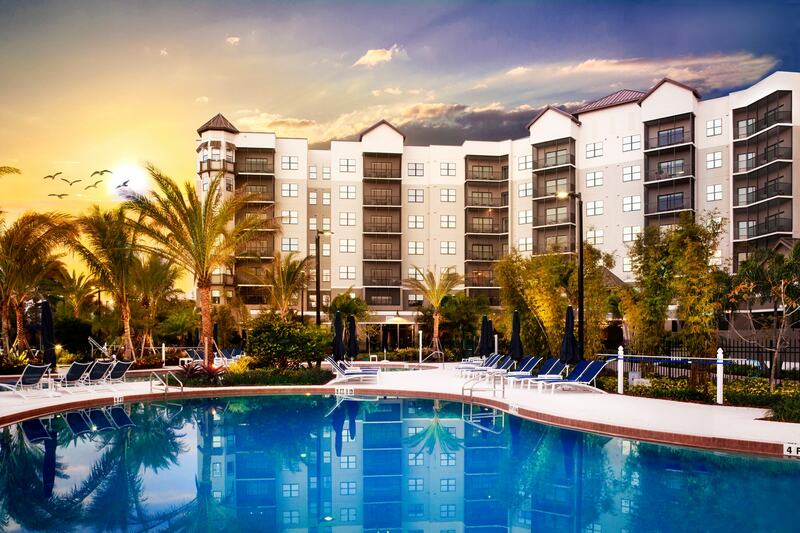 Soak up some sun at The Springs pool area with its 3 large pools and an oversized hot tub. 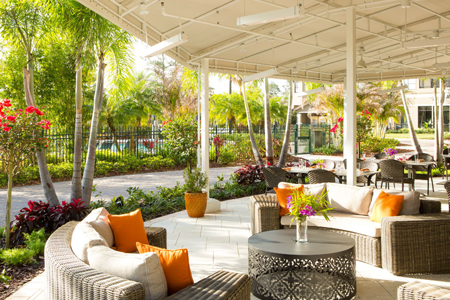 Private cabanas, poolside massages and food & beverage service are always available. 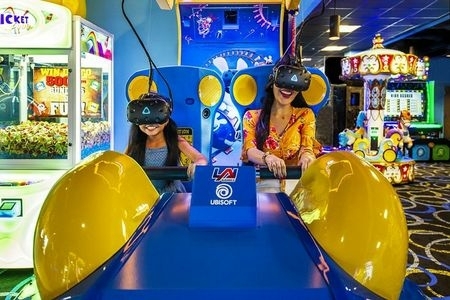 Experience 7,000 square feet of excitement at Flip Flop’s Game Room with an array of arcade games, virtual reality simulators, a glow-in-the-dark mini golf course and much more! A pristine 20-acre activity lake with a fishing dock and oversized gazebo. 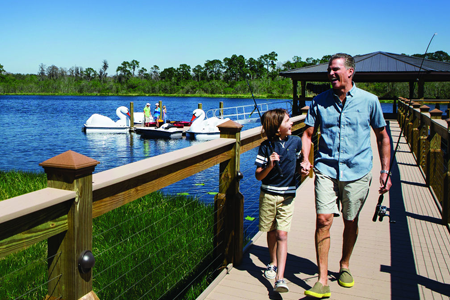 Get ready for fun and adventure with canoeing, kayaking, fishing trips and guided nature tours around the Grove’s private lake. It’s not ALL about the kids! 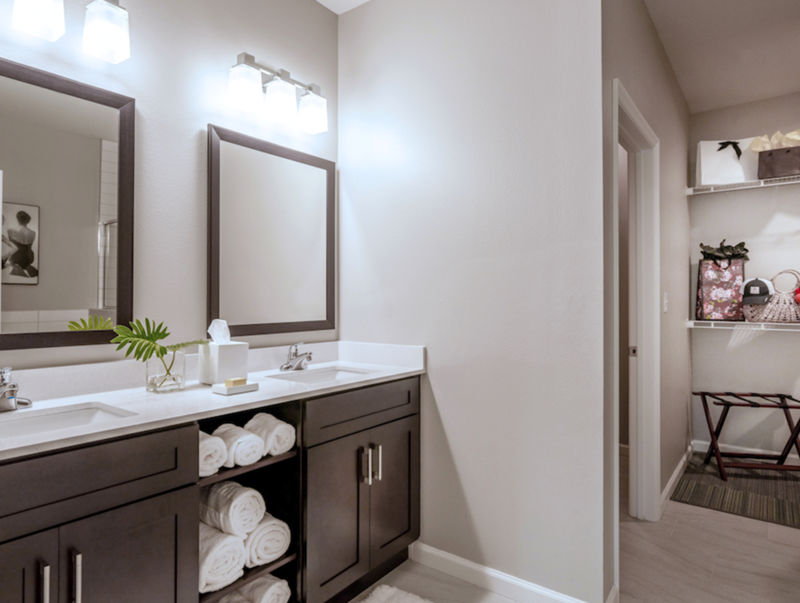 Go ahead and pamper yourself at the luxurious full service onsite spa. 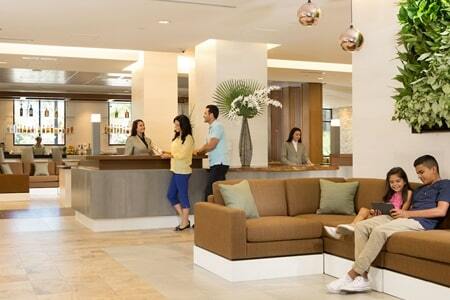 Enjoy a rejuvenating massage, manicure, pedicure or facial treatment using all-natural and organic ingredients. 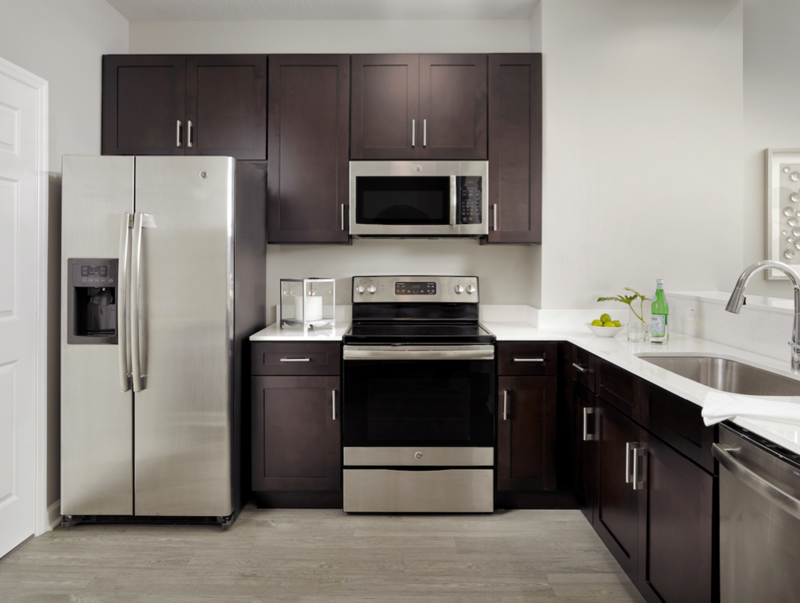 Featuring an elegant, modern atmosphere. Enjoy craft beer, specialty cocktails and a player piano. 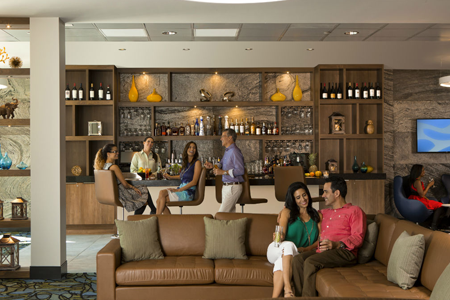 Full service, sit-down restaurant featuring a combination of southern European cuisine with traditional continental standards. 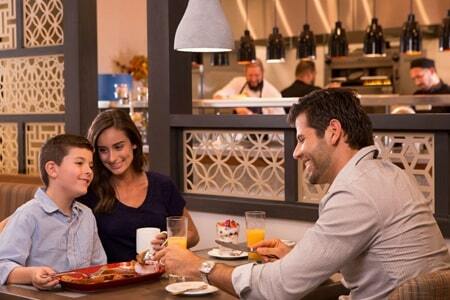 Onsite marketplace offers everything you need to stay fueled up. 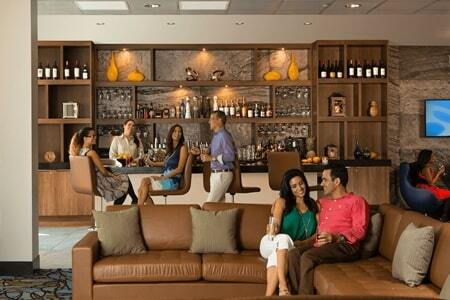 Beer & wine, assorted groceries, fresh gelato, coffee bar and more is available. 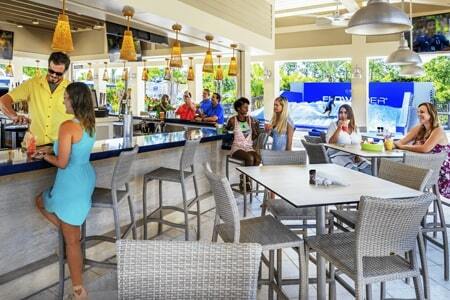 Located within the Safari Water Park, Longboards offers Hawaiian BBQ, burgers, craft beer and specialty cocktails. 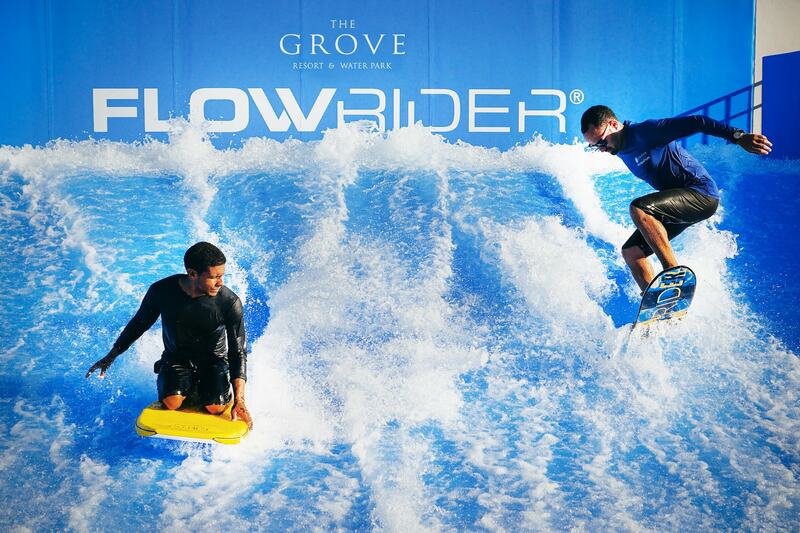 Sit in the covered outdoor seating area and watch guests wipe out on the Flowrider! 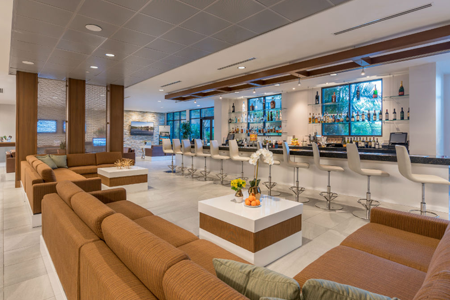 Experience unparalleled convenience and service at The Grove Resort with our full-service luxury lobby offering concierge and bellhop services. Don’t pay for parking! 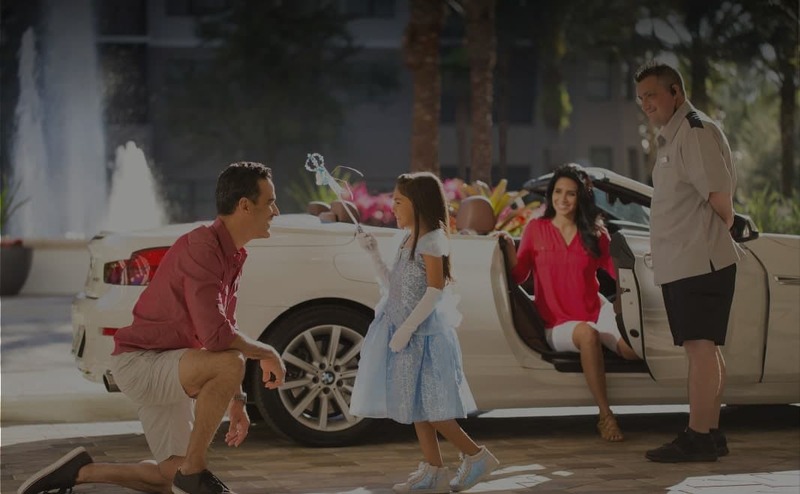 We offer daily ride services to Walt Disney World® making it even easier for owners to have fun at their favorite theme park. 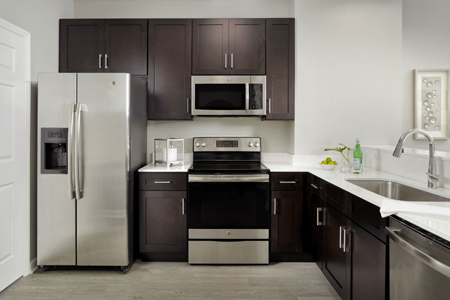 Planning your next wedding, family reunion or corporate event? 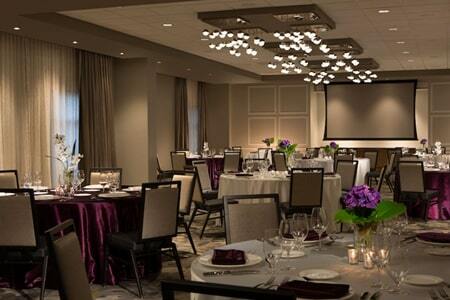 We offer flexible indoor and outdoor meeting space with on-site catering, audio/video support and much more. 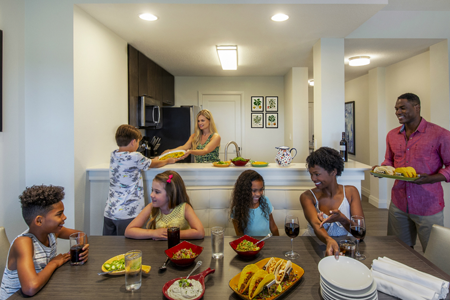 Each luxurious residence features a full-kitchen, a spacious living room, opulent bathrooms and a fenced-in terrace overlooking lush tropical landscaping. Located in the center of both adventure and tranquility, orlando offers a diverse range some of the best attractions and activities in florida. 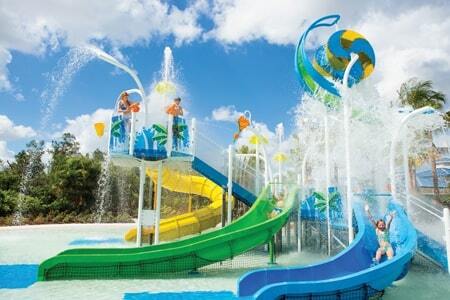 World-class theme parks such as the opportunities for entire family to enjoy. 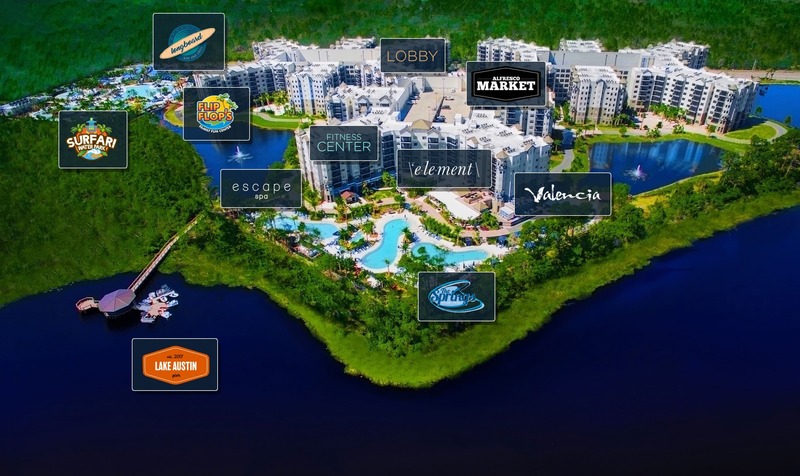 Also located near boating, fishing and restaurant options, Orlando has made a name for itself in fine shopping, nightlife and many outdoor adventures such as zipline, safaris, skydiving, scuba diving and hot air ballon rides providing gateways for every resident and visitor..